Home›Sports›MLB›MLB: The winner of the Manny Machado sweepstakes is…..? So here we are, eleven days away from pitchers and catchers reporting. Meanwhile, Manny Machado and Bryce Harper are still unsigned. Rumors have surfaced about Bryce Harper finding a new home in Philadelphia. Nonetheless, nothing has come to fruition on that front in writing. So far, the only thing that has come about with Machado is possible landing spots pieces from writers pulling a lot of stuff out of thin air. Which this article is no different so be warned. The difference is, this is a piece that pulls between the teams available and looking and the player and shows which one may work out the best for both. Currently, Manny Machado is the second most sought after free agent on the open market. Sure he may come with a prima donna attitude towards hustling, but his numbers spoke for themselves last season. There are a few teams that have been reported to be in contention. However, chances are, it’s going to be what seems like the longest shot that may work out the best. That team is the San Diego Padres. Why the San Diego Padres? Machado spent part of last season on their most hated rival, Los Angeles Dodgers. One of the reasons for this is location, sunny California. The rest of the teams on the list for Machado (Chicago White Sox, New York Yankees, Philadelphia Phillies) can’t compete with the weather. But let’s not act like the weather would be the only decision in something as large as where to play, there’s a lot of other factors to consider. One of which is, of course, money. The Padres are currently meeting with every top name free agent this offseason the closer we get to spring training. This includes Bryce Harper, Realmuto and of course Manny Machado. Thus it looks like they are getting ready to spend big and kick their timeline up by at least a year if not more. The Padres usually fly under the radar. Especially since most people overlook them in a smaller market with a competitive division. 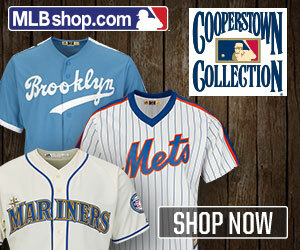 One that includes the Los Angeles Dodgers and the San Francisco Giants. This offseason, however, it looks like they are looking to make a big splash and challenge one of those other NL West teams for the division crown or a playoff berth. Their farm system is currently first in all the major leagues after spending what seems like the past decade in rebuild mode. Thing is they have really good prospects. However, there may be a few that could be a couple of years away. If they are ready to compete just one year after making the big splash in signing Eric Hosmer, that means signing another star player to play shortstop or even take over the hot corner at third at least. Then they just have to hope that some of their younger prospects take off this season. Therefore, they could become this year’s Atlanta Braves in a division that is slowly getting weaker and weaker the closer we get to spring. It will not come as a surprise to see Manny Machado as a San Diego Padre. Their plan to be competitive may take two or three years. Meaning that they most likely would want to lock him up now, spending more. How do you feel about Manny Machado and the San Diego Padres? Leave a comment below. Stay with IroniqMedia for all of your MLB coverage. Get Your W.S. Gear Here! Philadelphia Phillies: Is Bryce Harper Over or Under Rated? 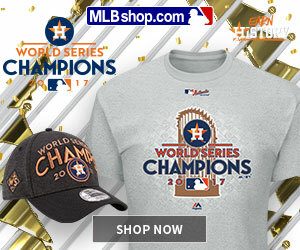 Get Your HOF Gear Here!